Although the early registration deadline has passed there is still time to register for the July 23-26 convention in beautiful Vancouver, Canada. If you haven’t yet, click here to register before June 18 to join us for a fabulous girls getaway! Walk a little to save a little! The Pan Pacific and Fairmont Waterfront are almost sold out but there are additional rooms at the Marriott Vancouver Pinnacle Downtown, located two blocks from the Convention Centre. Rates are $219 CAD per night (standard room) and $239 CAD per night (harbor side room). 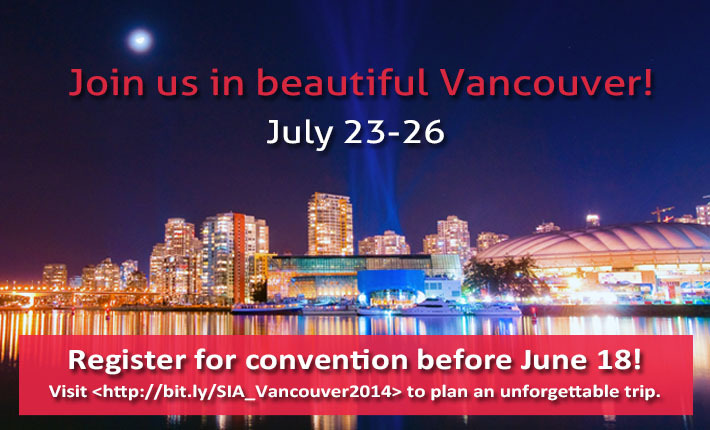 If you don’t have a hotel reservation for Vancouver yet, make one today! More than 800 people were entered in the early registration contest. Congratulations to the four lucky winners! Congratulations to the newly elected members of the Fundraising Council! 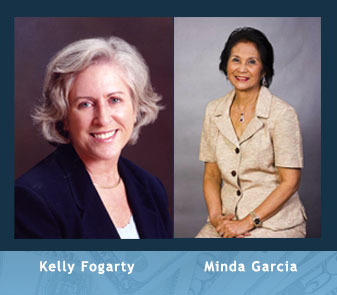 Minda Acacio Garcia of SI/Founder Manila, Philippines, and Kelly Fogarty of SI/Manhattan Beach, Camino Real Region, will serve two-year terms, beginning September 1, 2014, through August 31, 2016. Learn more about Minda and Kelly and what they will bring to their new positions. SIA has been recognized as a 2013 Pennsylvania Excellence Award recipient! Each year, the US Trade & Commerce Institute (USTCI) panel identifies organizations that have demonstrated excellence in their respective fields and achieved commercial recognition. Soroptimist is one of those selected this year and this award exemplifies that distinguished accomplishment. SIA is honored to receive this recognition for our work and business practices. Click here to read more. The beautiful new Live Your Dream Awards (formerly the Women’s Opportunity Awards) materials have been updated and posted on the SIA website. Please contact siahq@soroptimist.org with any questions or concerns. Have you heard the news? The Soroptimists Celebrating Success awards now have region-level judging AND a new deadline. The first deadline is July 1. Click here to view the club instructions and entry form. If you live to be 100 years old, or even 90, will your money last as long? Janney’s Retirement Test Drive is a road map of your retirement income picture with real answers including: sources of income, lifetime revenue stream and expenses. It’s your retirement. Get in the driver’s seat. Contact Adrienne Horen today for more information. 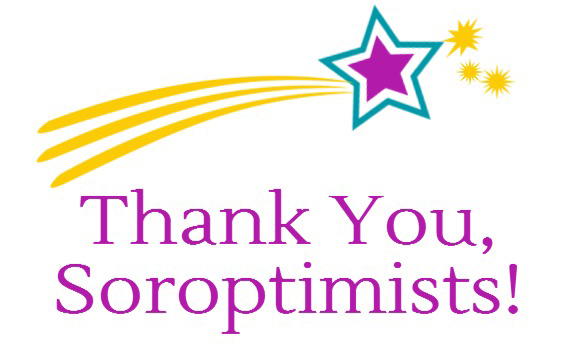 Thank you to all of our members and clubs for your contributions to help fund our global Soroptimist programs. Your generosity is an investment in the lives and futures of so many women and girls and, ultimately, in a better world. We couldn’t do our important work without your support and we can’t wait to celebrate in Vancouver all we have accomplished together! Finding the stability to practice yoga can be a challenge, but finding the balance within your club doesn’t need to be! A successful Soroptimist club is a balance of a variety of components that enable women to help other women and girls around the world to live their dreams. Check out Keeping the Balance for Clubs to help assess your club’s health and use it as a catalyst for intervention and improvement! These rhinestone pins, available in gold and silver, were one of our largest selling items last year! If you don’t have one yet (or want another as a gift for a friend) shop the SIA store to buy one today!